With the employment rate dipping to 3.8 percent again in February, the current job market is heavily favoring employees. The amount of job openings in the US reached a new all-time high of 7.5 million this past January, significantly higher than the current number of unemployed persons in the country, which is approximately 6.2 million. While it seems like the obvious answer to both problem is to put the available workers into the available positions, there is a big mismatch in skills versus jobs; workers don’t have the right technical skills, leadership skills or soft skills to fill the open positions. This puts a serious burden on employers. The key to ensuring your employees are skilled and capable enough to perform their job duties is to thoroughly train them as part of the onboarding process. Many employers stop there, letting work experience take the place of ongoing training. However, training seasoned employees can actually increase retention rates when done properly. Many employers fear that the time and money they spend developing employees and teaching them new skills will empower their employees to take their newly acquired skills elsewhere, but in actuality, most employees feel more valued when their employer is investing time and money in developing their skills and are more likely to stick around. The most valuable skills an employee can have are pretty subjective, depending on the employer or industry. Many job skills can be easily obtained by almost anyone, through work experience, education and certification programs - these are called “hard skills.” What employers can focus on when looking for skilled employees are their soft skills. Soft skills are harder to define, but can include communication skills, listening skills, empathy, etiquette and other interpersonal skills. These are skills that can be applied to any industry, and are the types of skills that separate adequate employees from great employees. Some soft skills can be learned, but many come naturally. Soft skills are important to the success of almost all employers, and because they are transferable, these skills can be applied to any position the employee is seeking. Employees and applicants who already possess skills such as creativity, adaptability and collaboration are extremely valuable, as they can typically pick up the hard skills their position requires rather quickly. 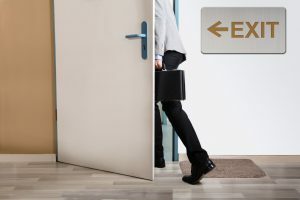 Additionally, the adaptability of these types of employees means that if the position they were hired into ends up not being a good fit, the employer may be able to move them to another position in the organization, rather than losing the employee completely. In recent surveys of the American workforce, the topic of training and development consistently emerges as one of the areas in which employees are least satisfied. Employers who are hesitant to spend time and money on developing their employees’ technical skills and are more focused on just maintaining the employees are quickly losing them to organizations who are embracing training and skill development programs. Even something as simple as an online learning platform that can be accessed by employees can help them feel supported and valued by their employer. Many employees, especially the younger generations that are entering the workforce, believe that constant development is crucial in remaining relevant in their chosen industry, and they expect their employers to provide them with learning opportunities or they find an employer who does.